Seagate's relentless track up to the highest point in Costa Rica - Mt. Chirripo. Race fans! We are smack in the middle of the Adventure Racing World Championships being held in Costa Rica. The course is a monster. Example: Stage 4, affectionately dubbed "The Mangrove Monster" has taken some teams MORE THAN 40 HOURS to complete. And after that they still aren't even at the third-way point in the race yet. 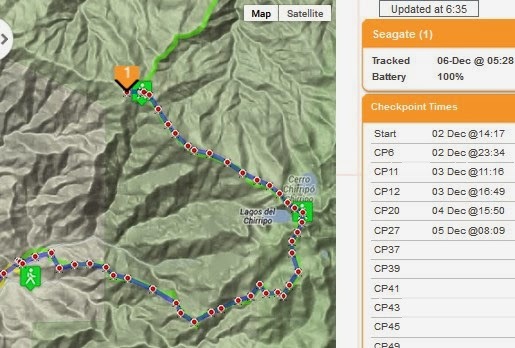 Teams started racing on the afternoon of Monday, 2-December and are just now starting to depart "mid-camp", a mandatory 4-hour stop roughly near the middle of the course. The winners should finish on Sunday or Monday after 6-7 grueling days of racing. It's a tense battle between some of the toughest endurance athletes in the world. And, lucky for us, the race coverage is unreal. Between the official race tracking map, and the Attackpoint discussion thread, and Breathe Magazine's excellent flashblog, we can track the teams' every move. It is an exciting time for adventure racing and I've been learning a lot from the commentary on AP and Breathe. If you're a fan of the sport, you owe it to yourself to check in on the race's progress from time to time. And, cheer for American teams...Tecnu (currently in 4th place!!!! ), Bones (currently in 9th!! 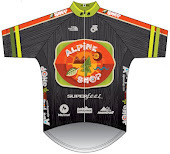 ), Dark Horse, GearJunkies/Yogaslackers, Leki 50, and Committed. Such a fun distraction this week! I've been obsessed with this race this week.